USA has given series orders to true-crime drama Unsolved and period drama Damnation, the latter of which stars Logan Marshall-Green. USA has announced a slew of summer premiere dates, including when to expect the next seasons of Playing House and Shooter. USA has cancelled crime anthology Eyewitness after one season. The show’s series finale aired this past December. USA has ordered more episodes of the current season of Chrisley Knows Best. 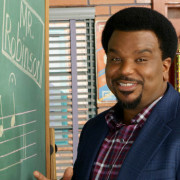 Craig Robinson will be appearing on Season 2 of Mr. Robot in a recurring role. USA Network has announced new series regulars and recurring guests for Mr. Robot Season 2.